How to make reloading shotgun cartridges easier. The first Chapter of Luca's home-loading guide. Until not long time ago factory-loaded ammunition for hunting and shooting were only for few privileged people, for this reason for the majority of hunters the hand-loading process was necessary in order to save money. How to load shotgun shells at home. The components used to assemble shotgun shells were several, as the number of companies that were producing them. Felt, cardboard, leather and cork were only a few of the materials used. 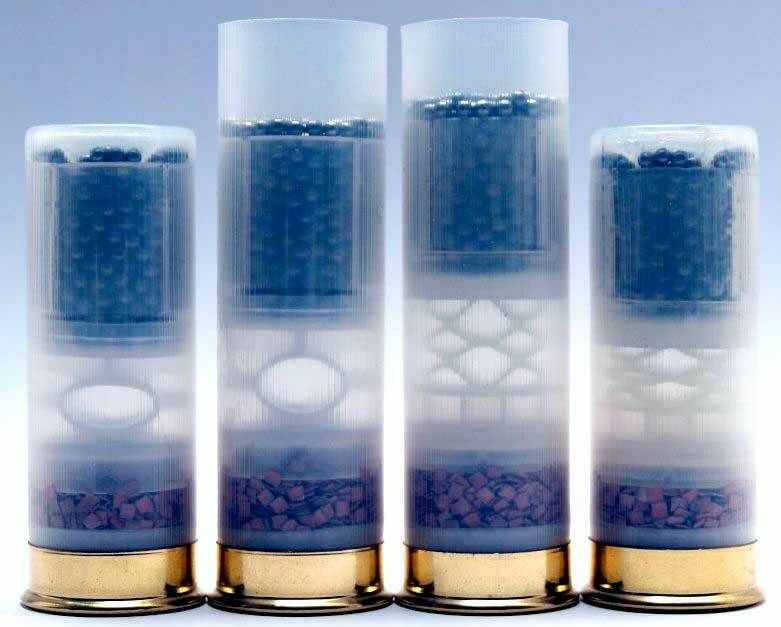 Nowadays plastic has replaced everything, taking the quality and the performance of the ammunition to a higher level and, at the same time, keeping the price of the components very low. Therefore a pack of factory-loaded ammunition is affordable to everyone, and the hand-loading process has become a hobby for few, like us. Us, the “incurable enthusiasts”, as I would like to call whose who look for perfection, and who like to experiment new techniques trying to create the perfect cartridge for every hunting situation.As a very passionate (but self taught) cartridges loader, I will try with humbleness to explain what is about and how to being reloading shotgun shells. The components are just a few, first of all, we have the case, which as mentioned above, nowadays is made from plastic and at the bottom of it, we need to insert the primer that needs to ignite the powder. On top of the powder, we would need to place the wad, made of plastic as well, even if in some countries plastic is forbidden and biodegradable materials, like felt, cork or cardboard are preferable. Wads have a double function: they are essential to retain the gases emitted by the combustion of powder and to protect pellets from rubbing against the gun barrel, in case it is a cup wad, or they are important to increase the rub against the gun barrel in case of spreader wads. Pellets are usually made of lead (and this will be the material we are going to use the most in the next chapters of this little guide) however in the past few years, other type of pellets are becoming more popular especially in those countries where lead is actually banned. These are often called “ not toxic cartridges” (“steel” or “no toxic”), made of other metals or alloys. 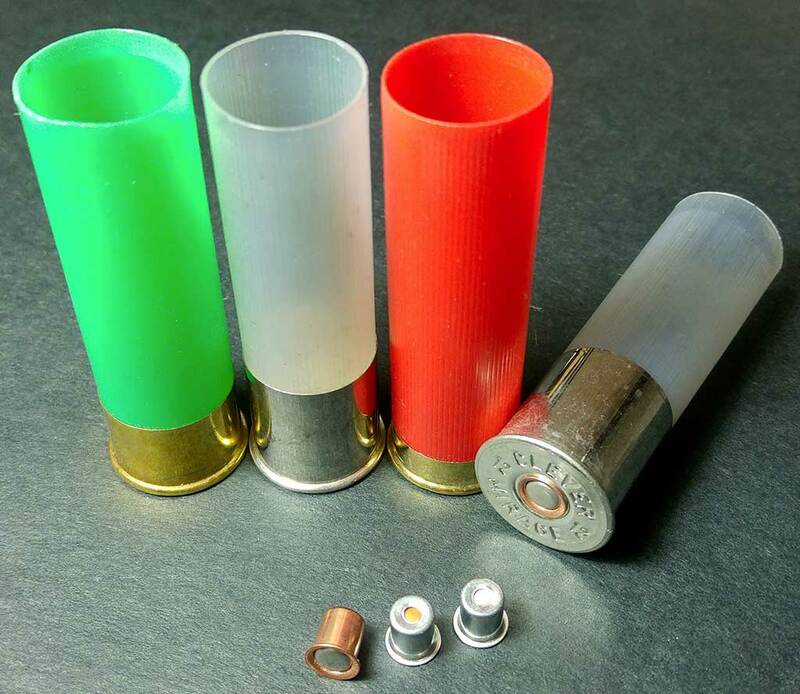 Last but not least, we cannot forget to mention the importance of the shotgun shell’s closure, although this is not a real component but just a procedure that has an essential function: keep all other parts together and give them the right compression. Obviously, the hand-loader uses various tools to complete the packaging of the shot-shells. 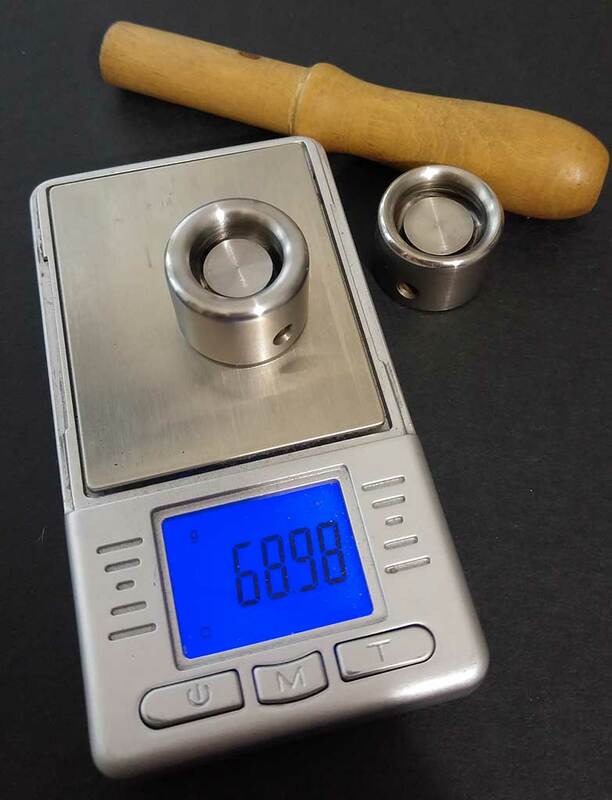 The most essential are: a scale and a small funnel for weighing and pouring the powder into the case, a loading tool (wad pusher) , you could use in case it is necessary to press down the wad inside the cartridge case, and finally a shotgun shell loading machine. 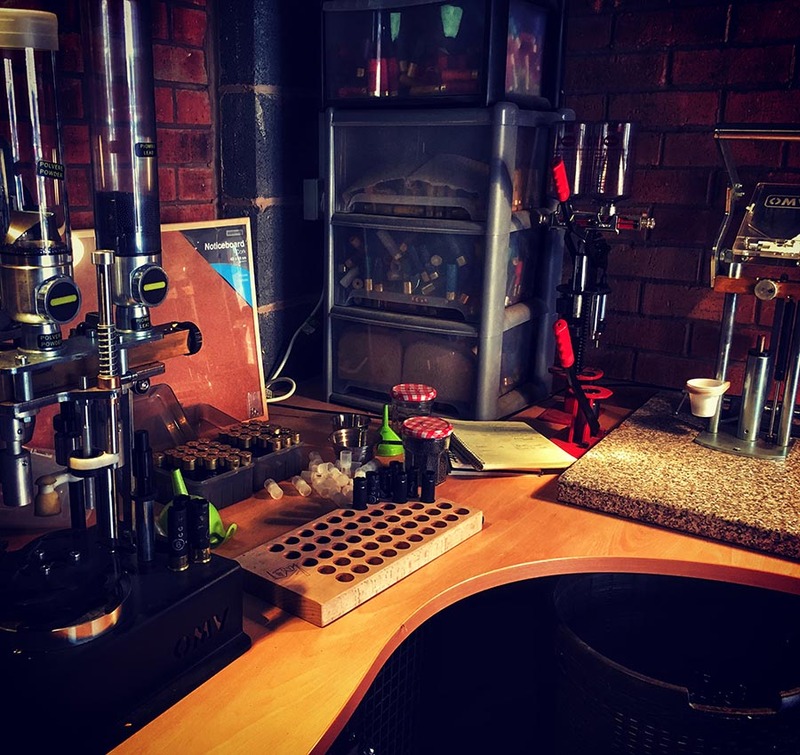 The shotgun shell loading machine is, without any doubt, the most expensive equipment on the hand-loader table, on the market you will be able to find all sort of machines, from the very simple and very cheap ones to the most expensive ones. In case you don’t want to buy one, this machine can be replaced by a specially modified bench drill, as its function is only to turn the reel to create the border to the cartridge. So why hand-loading? Definitely not because is more convenient or cheaper, nowadays in fact buying materials and making shotgun shells at home often cost more than buying them ready-made in shops or online, but the performance of a home assembled shot-shell than can meet all our specific needs, is worth much more. 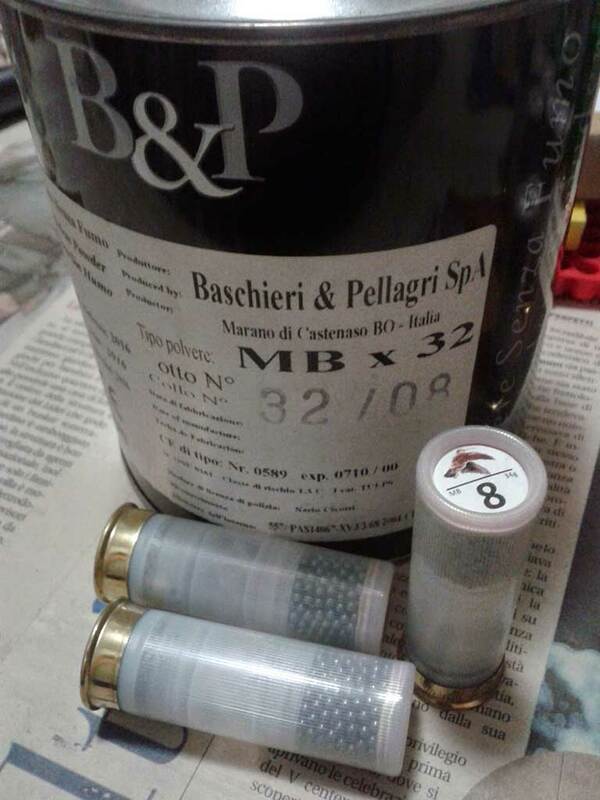 That’s why we love hand-making our cartridges: to find and create the perfect ammunition to meet our needs. This first chapter is just a preface and with the second one we will explain every single step in details.